I’ve been scavenging thrift and antique stores for old keys, but haven’t found anything to my liking. I was surprised to find something fairly close to what I was looking for at Michaels. It wasn’t even in the jewelry section. 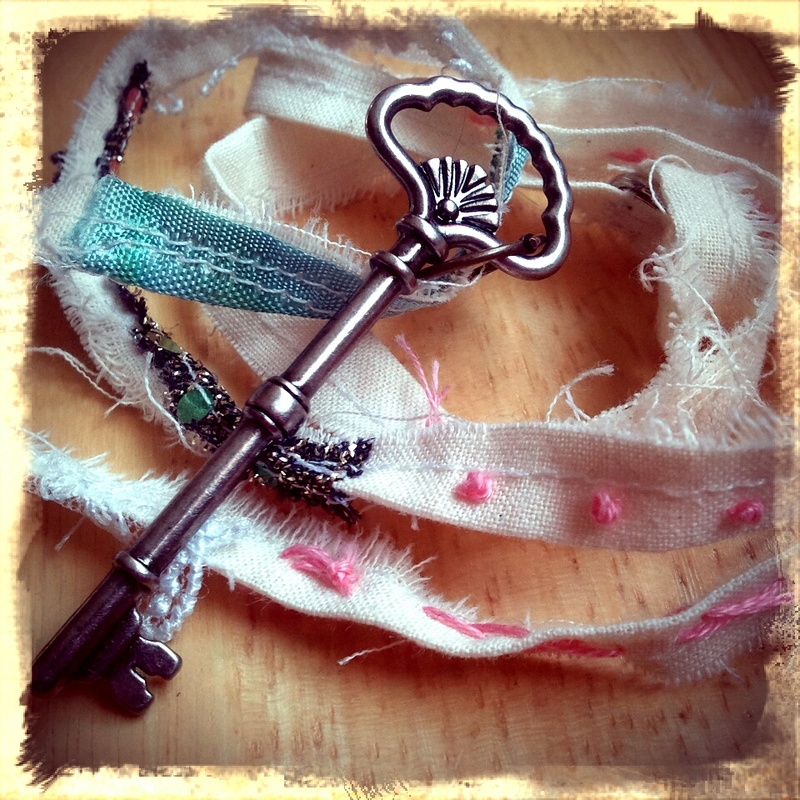 I found some keys in the paper/scrapbooking area. And they were on sale, so I picked up a package of 5. 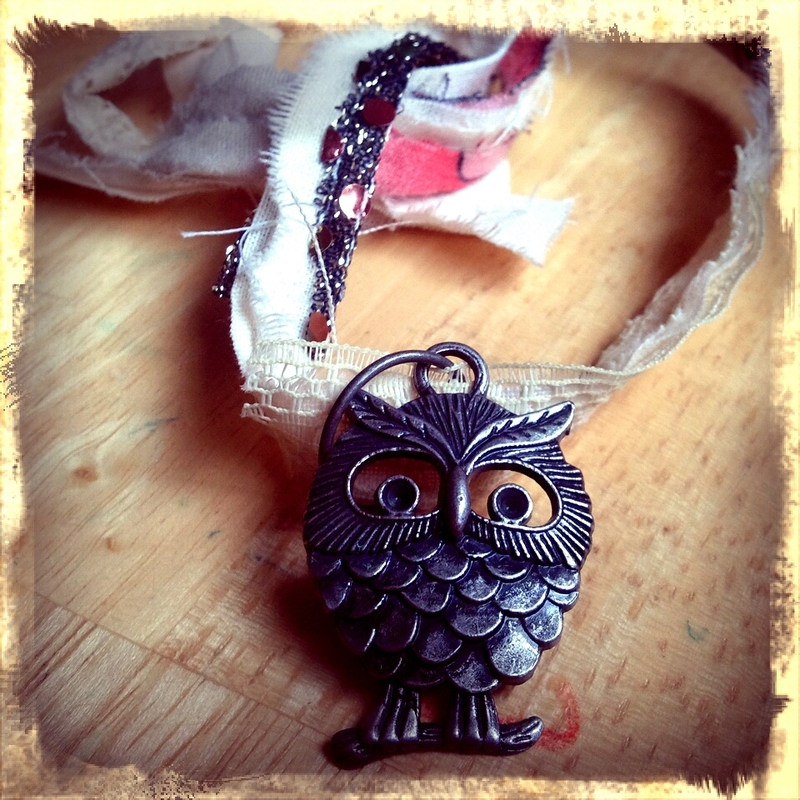 Instead of using traditional chain for a necklace I decided to use fabric. These are the first couple I finished.